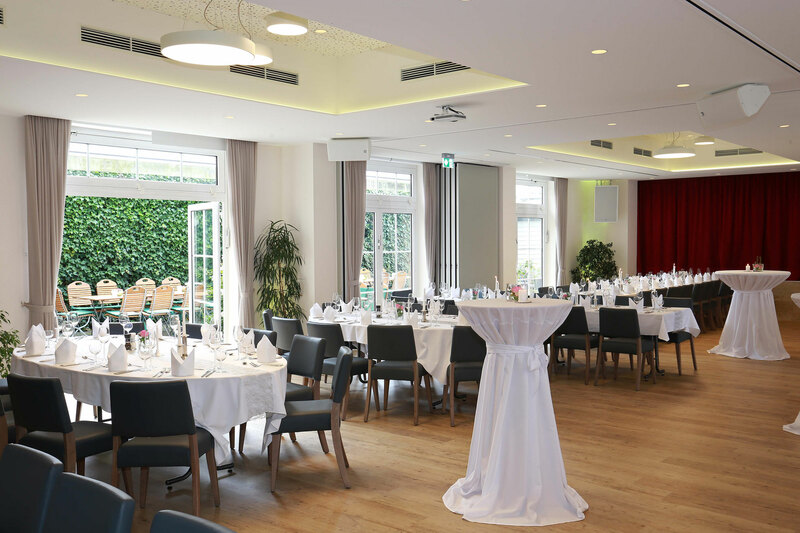 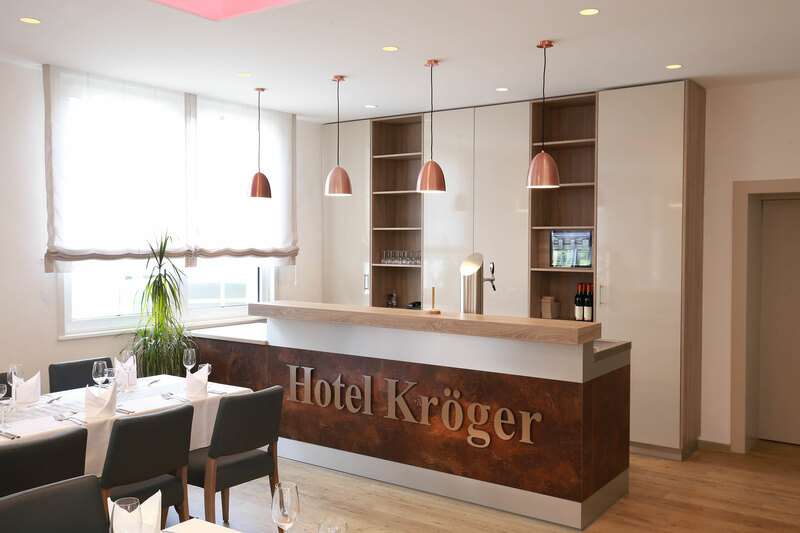 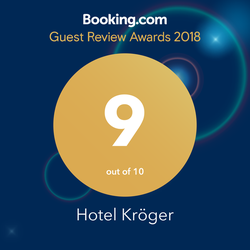 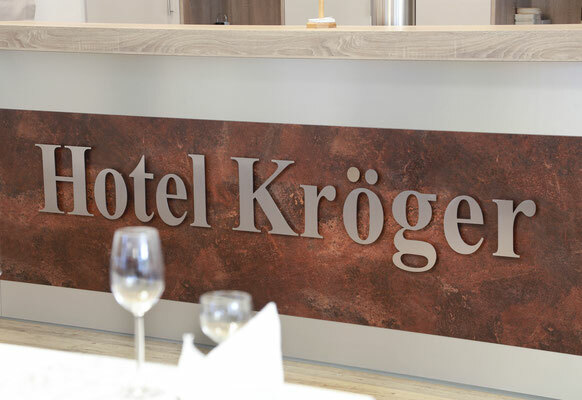 The great hall of Hotel Kröger offers place for up to 160 people. Modern furnished, it offers the perfect setting for family celebrations such as confirmations, weddings or the similar. 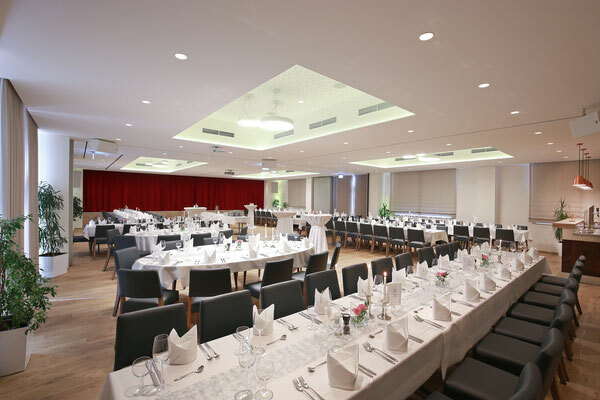 The advantage of our great hall is that it can be devised into smaller rooms, so it suits smaller events for example up to 30 people. On the stage of the great hall bands may play or other shows can be performed to entertain the party guests. 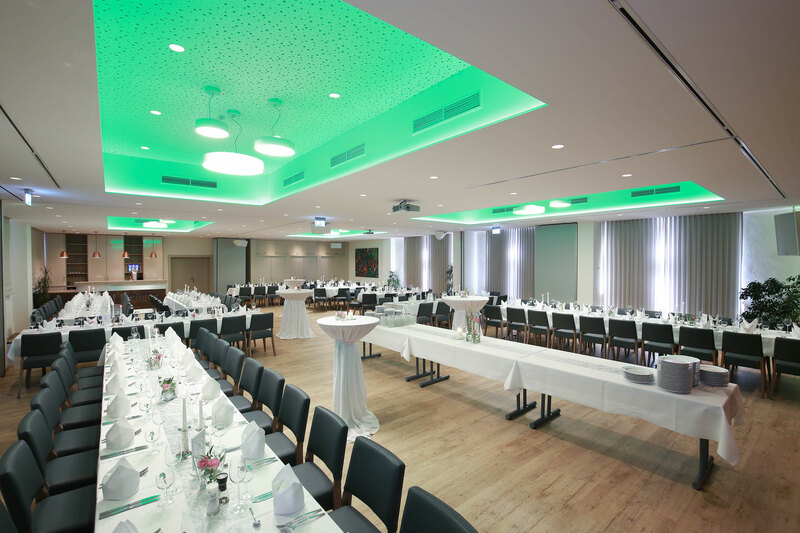 We are equipped for almost anything. 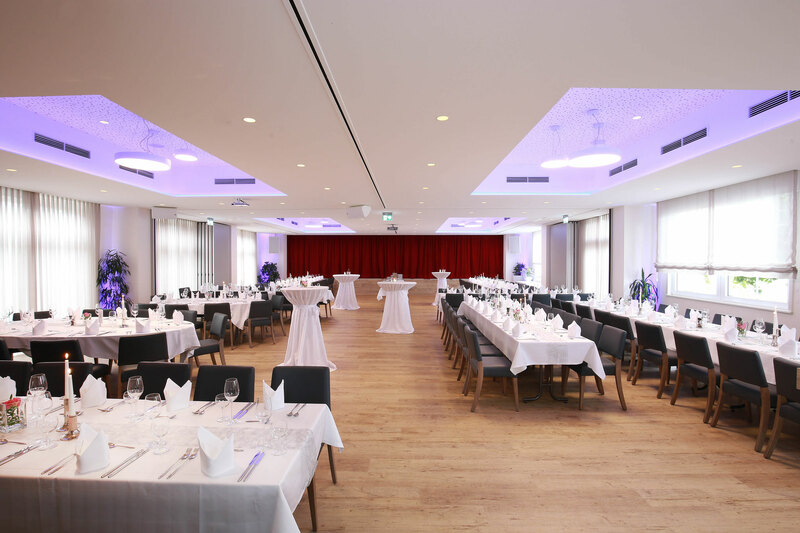 If you want to celebrate in the Hotel Kröger and want to rent our great hall simply contact us.